ROBUTEL DE LA NOUE, ZACHARIE, lieutenant on half-pay and on the active list, captain, seigneur of Châteauguay; b. 4 June 1665 at Montreal, son of Claude Robutel de La Noue, seigneur of Île Saint-Paul, and of Suzanne de Gabrielle; d. 1733 at Baie des Puants (Green Bay, Wis). Robutel de La Noue began to attract attention in 1686, at the time of the expedition of the Chevalier de Troyes* to Hudson Bay. He took part in it as an adjutant. “Although they [the Le Moynes and he] were reputed to be the best canoeists in Canada,” La Noue twice very nearly drowned in the rapids, when his canoe broke up and he himself had difficulty reaching the bank, for he could not swim. 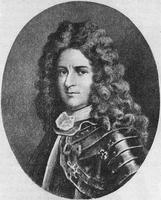 At Hudson Bay he was one of the first, with Pierre LE Moyne d’Iberville and five or six others, to enter Fort Monsipi. 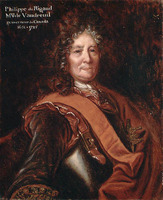 From 1717 on, Robutel de La Noue was in the governor’s service, with the task of trying to discover the northern sea by an inland route through New France. 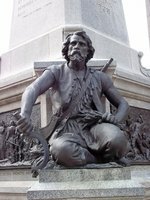 He set out in July 1717, with three canoes and the order “to establish the first post on the Kanastigoya River in the northern part of Lake Superior, after which he is to go to Takamamis88n in the direction of Lac des Christinaux to set up a second, and through the Indians to obtain the necessary information for setting up the third at Lac des Assenipoëlle.” He remained at Kaministiquia until 1721, and according to the testimony of Father Charlevoix* returned to Montreal that year. A document preserved in the archives of the Chicago Historical Society contains particulars concerning the partnership entered into by Robutel de La Noue with Paul Marin* de La Malgue for trading in furs in 1729, but we have no precise details on this subject. La Noue seems to have spent his last years at Baie des Puants, where he died in 1733; he was not commandant there though he may have been recommended for that post. In August 1706 Robutel de La Noue had bought the seigneury of Châteauguay from the children and heirs of Charles Le Moyne*. In 1689 he had married Catherine, daughter of Jacques Le Moyne* de Sainte-Hélène, and they had nine children. Caron, “Inventaire de documents,” APQ Rapport, 1941–42, 179–298. “Correspondance de Vaudreuil,” APQ Rapport, 1938–39, 12–179. Découvertes et établissements des Français (Margry), VI, 522. Provost, “Inventaire de documents,” 594. 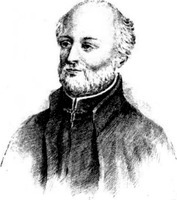 Chevalier de Troyes, Journal (Caron). Nive Voisine, “ROBUTEL DE LA NOUE, ZACHARIE,” in Dictionary of Canadian Biography, vol. 2, University of Toronto/Université Laval, 2003–, accessed April 20, 2019, http://www.biographi.ca/en/bio/robutel_de_la_noue_zacharie_2E.html.